From all the things we share online, be itfunny quotes, pictures and files, the most care are taken while we email someone. As in the present era maximum communication over long distance formal or informal takes place through emails but unfortunately, not all email addresses are valid!!!! Also we can get a seemingly innocent mail but from invalid addresses. Before replying, we want to know if the address is actually valid or not. 1. VerifyEmailAddress: - Just type in your address and this online tool checks first if the syntax was correct. Then it looks up the email provider. If the check is valid, it shows a green tick mark next to the email address. This service was simple and intuitive but does not show us the logs. 2. Verify Email: - Verify Email is also useful to check if the email address you entered is valid or not. Type in the email addressand click on ‘Verify’. If the result is OK, then it means theservice was able to verify successfully. This does show a log of how your email was verified. 3. Email Unlimited: Verify email tool: - Finally, another online tool which will also check if the email you entered exists or not. This service prominently displays the logs while carrying out the verification. How email address are verified by these websites? The services get MX DNS records of your domain to verify which mail server is being used. Then it checks with the mail server to see if the username exists. Once all the results are positive, the email is verified and we are given the result. Do try out these email verification services and let me know if you know about more services and methods to verify email addresses. Thank you for your article, it's very good and it's well written. I also use an email validator and it's great. 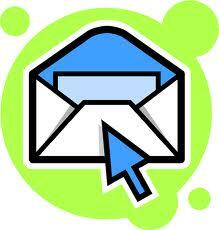 It is very easy to use and offers you a trial version of 100 emails. They have a very good system that can detect spam traps, invalid e-mails and catch-all. In addition, its API is great.